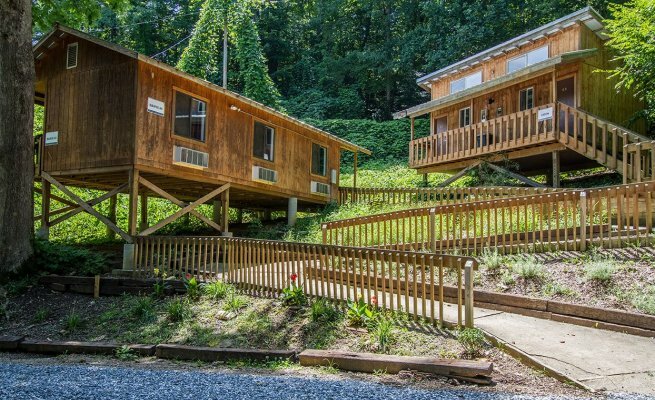 Spend the night where the Appalachian Trail hikers stay. 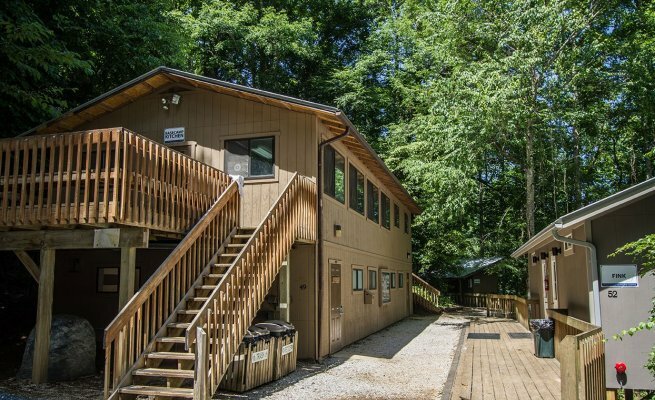 Basecamp, our budget-friendly hostel-style lodging is located at NOC’s Nantahala River campus along the Appalachian Trail. With accommodations for up to 122 people, this is the premier location for families, large groups and retreats. Basecamp is the ultimate home base for outdoor enthusiasts and adventurers with whitewater rafting, zip lining, mountain biking, paddling and more at your doorstep. Basecamp is located on the Appalachian Trail at NB mile marker 137.1 and SB mile marker 2,052.1. 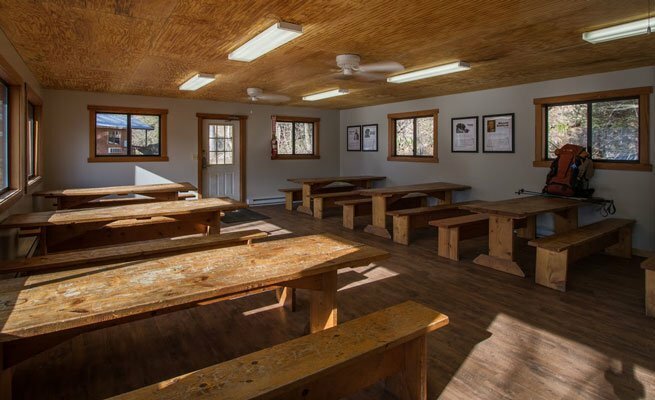 Special accommodations are available to hikers attempting to thru-hike the Appalachian Trail. Handicap accessible units are available. A shared community building contains the kitchen, dining hall, charcoal grill and individual shower stalls. Men’s and women’s community bathhouses contain showers, bathrooms and changing areas. 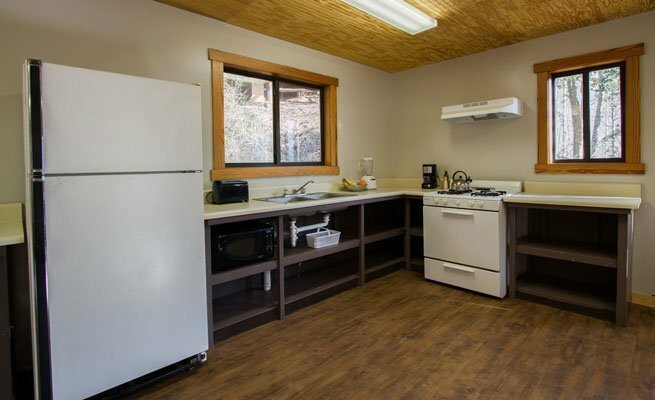 Bunkhouses include twin mattresses and heating and air conditioning units. Wireless internet is available in the community building. Linens, dishes, utensils and cookware are not provided. 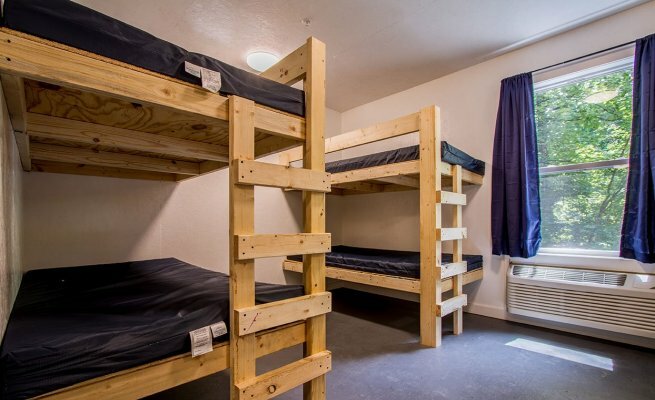 Bunkhouse are available nightly by the bed or per 18 bed bunkhouse.